Electrical works are extremely specialized and only licensed and trained electricians should be handling them. When you are carrying out any kind of new construction or remodeling work on residential or commercial premises, electrical jobs are bound to crop up. In instances like these, it is important to have expert electrical works contractors like California Creations handle the job. We work very closely with interior designers, architects, contractors and engineers and provide the best electrical works in their projects. If we are handling the overall construction job in any project, our expert electricians will handle the work as part of our wide range of services. We design, plan and install elaborate electrical system and the highest-grade materials like wiring and fittings are used. We follow all the necessary safety norms and ensure that all the work is carried out in an efficient and safe way. This ensures you do not have to worry about electrical faults cropping up every now and then and you have peace of mind at all time. When we carry out any electrical works installations, we focus on cost-savings and energy-efficiency too and your benefit and satisfaction is of highest importance to us. When it comes to new construction, electrical works have to be carried out in phases and if we are working with any of your contractors, we ensure that the work is handled in tandem with their job. We also have job site supervisors who ensure that all the work progresses in a seamless manner. 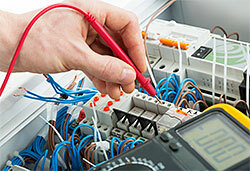 All our electricians are professional and courteous and highly skilled. They are able to handle all types of electrical jobs and we undertake residential and commercial electrical works projects of every scale in and around San Fernando, Santa Clarita, Simi Valley. No job is too complex for us and no job too small. 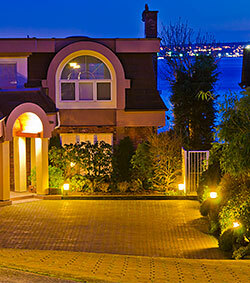 We are the experts who excel on every front and even as we do so, we maintain very realistic pricing in all our work. If there are any electrical upgrade jobs you need, we can handle those too. Upgrades are required when your current electrical system is unable to cope with the load of any additional electrical equipment and installations that you might have added. If you are looking for the best electrical works contractors in and around Sylmar, CA, contact California Creations on 818-083-1213 toady. One of our representatives will visit your location and provide you with a very competitive quote. You can also send us your request via this online form.